- the perfect place to relax, explore and immerse yourself in a Canadian resort experience unlike any other. Welcome to the Sportsman's Inn Resort & Marina. We're happy you're here. Perched atop the pebbled shores of the North Channel, the Sportsman’s Inn is surrounded by the glistening waters and windswept pines that characterize Georgian Bay. Anchored by history and rich with community, the Inn is a lively hub of local stories, folklore and entertainment. 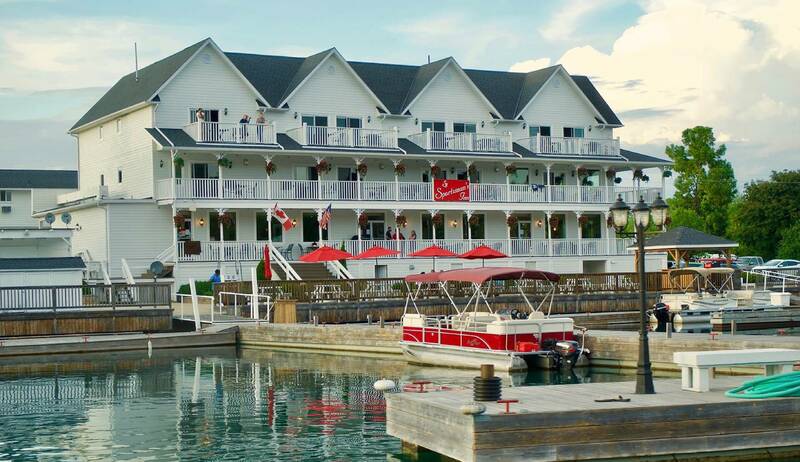 With contemporary, stylish accommodations, Sportsman’s Inn offers the comfort of a luxe, full service resort coupled with the breathtaking views and awe-inspiring experiences of the Canadian wilderness. 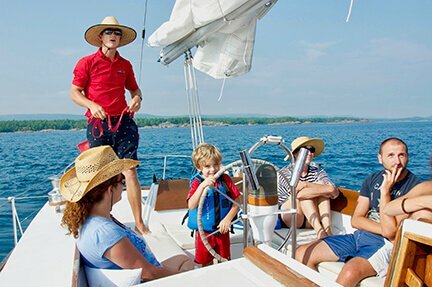 Offering modern amenities and affordable docking rates, our world-class marina is a popular stop among adventurers traversing the Killarney Channel. Whether you’re stopping by or planning an extended stay, the Sportsman’s Inn promises to provide an exceptional, all-season resort experience rooted in curiosity and comfort. With so much to do and enjoy, we're sure to offer an experience that’s your cup of tea (or coffee, if that’s more your thing). Unwind with a trip to the Tranquility Spa, sample fresh, local delights at one of our varying dining options, venture out into the lush Killarney forests or retreat to your personal balcony. In the middle of the beautiful Canadian Shield is this incredible Inn that accommodates guests in 5 star style. The rooms are beautiful, comfortable and clean! The service is excellent and the food is amazing. The main dining room is not what you’d expect from a northern retreat, including live entertainment on the grand piano. Sporto’s pub is terrific, lively with great pub style food and fun entertainment. We’ve been there twice for a long weekend and can’t wait to go back. Paradise! I love this place. It’s been tweaked quite a bit since we started coming here a number of years ago, but they’ve made an effort to maintain its laid-back charm. The rooms are lovely and spacious with a nice balcony that provides wonderful views of harbour activity. We booked into Sportsman’s Inn and we couldn’t have been happier. Our room overlooked the water and marina and was spacious and well decorated. A nice touch is that they support local artists and have decorated with pictures that are for sale, gallery style. Throughout the Inn there are historical pictures of the building and local area, which we loved. Winter Fun! We spent two nights at the Inn for a winter girls’ weekend getaway. 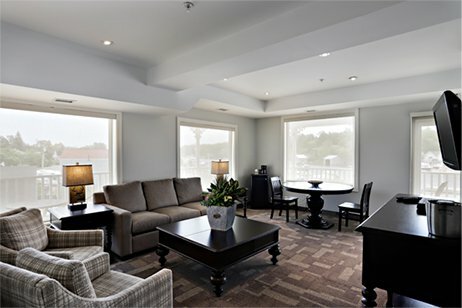 The rooms were clean, comfortable, inviting and faced the waterfront. Great morning sun and wonderful gas fireplace. I would not hesitate to recommend this Inn. We enjoyed visiting the town, light house and Provincial Park.